Set during WWII, James Garner (DIVINE SECRETS OF THE YA-YA SISTERHOOD, MAVERICK) stars as an American spy captured by German soldiers and brainwashed into believing the war is over. 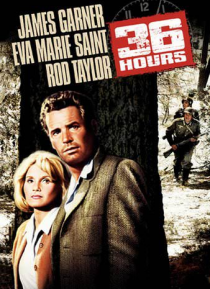 Featuring Eva Marie Saint (SUPERMAN RETURNS, NORTH BY NORTHWEST) and Rod Taylor (THE BIRDS, THE TIME MACHINE). Directed by George Seaton (MIRACLE ON 34TH STREET, AIRPORT).